For many Western travelers, a holiday in Southeast Asia seems like a distant dream. 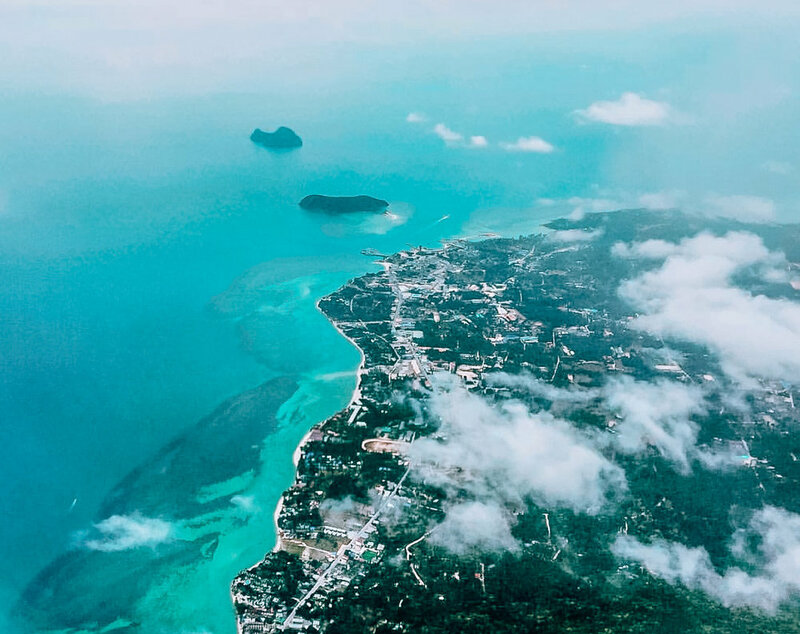 There’s no doubt that those ancient temples, exotic jungles, and tropical beaches are alluring, but often the lengthy flights with hefty price tags deter travelers from making the journey. But there are lots of ways to save money while traveling in Southeast Asia, without the need to sacrifice comforts and luxuries. Here are some tips for budget travel in Southeast Asia that will help put your dream holiday into reality. I get it: money is tight, and flying to the other side of the world for a holiday seems a bit out of reach this year. It’s especially common to see those living in North America sticking closer to home, choosing destinations in Central/South America or Europe. But I hope you’ll reconsider Southeast Asia for a 2019 holiday — with the most beautiful islands, the most delicious foods, and the most fascinating cultures, Southeast Asia shouldn’t be missed. In fact, it’s incredibly east to save money once you get there, even if your backpacking, hostel-staying, packaged-ramen-eating days are far in the past. 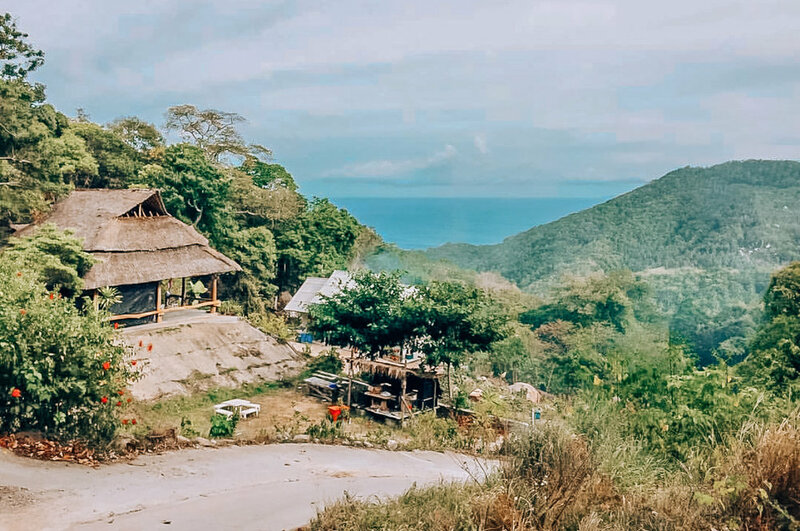 Below are a seven tips on how to travel in Southeast Asia on a budget, without compromising all those comforts and luxuries you’ve dreamt about for your perfect holiday! Southeast Asia has some of the best food I’ve had anywhere on the planet. And the best part: you can get it for about 1-2 USD per meal. You read that right. Michelin Star-worthy dining for half the price of a coffee back home. I found roasted duck, panang curry, and pad Thai on the streets of Bangkok that would outshine any fine dining restaurant in the world. Singapore is famous for being one of the only country’s in the world where their street vendors earn Michelin Stars. Vietnam has mouth-watering dishes that won accolades from Barack Obama, all for just a few dollars per dish. Taiwan is dubbed by some as the unofficial Street Food Capitol of the World. To help you get better acquainted with the local street cuisine, sign up for a guided street food tour on one of the first few days you arrive to your destination. I’ve done these in Taipei (Taiwan), Hanoi (Vietnam), and Yangon (Myanmar) and it’s a great way to learn about local food, understand more about religious and political culture, and get better acquainted with the layout of the city. These can cost upward of 20 USD (but will include a half-day walking feast), or you can connect with a local on Couchsurfing Hangouts who may be willing to show you her favorite street food spots for free. Although you’ll also find some world-renowned fine dining restaurants in Southeast Asian countries, know that you won’t be missing out of you choose to dine on a dime instead. You may be surprised to learn that Airbnb is alive and kicking in most of Southeast Asia. I’ve found some really beautiful little beds & breakfasts in even the smallest cities, in central locations, with the most hospitable of hosts. And most of these places have been under 50 USD per night. In order to get the most bang for your buck, look for added benefits such as breakfast included (more common in private room options rather than when renting an entire place for yourself), an English-speaking host who can answer questions and help book tours or make reservations for you (check the reviews to get feedback on your host), and a kitchen where you can store leftovers or even cook yourself meals to save some money. For example, check out this beautiful condo in Ho Chi Minh City, Vietnam, that’s only 17 USD/night when split between three guests. Or this stunning retreat in the Ubud, Bali jungle for a whopping 9 USD/night when split between you and your four friends. Or this amazing high-rise condo in the center of Bangkok, with access to a gym, sauna, and rooftop garden for only 41 USD/night (and the host even mentions that he’s willing to discount this price if you just ask nicely). I’ve also found that it can be quite easy to negotiate prices on Airbnb. Simply contact the host and ask if he or she is willing to make a special offer for a price within your budget, and there’s a good chance they’ll help you out! To save 40 USD off your first booking, sign up for Airbnb with this link! Although it may be costly to travel across the world to Southeast Asia, once you arrive, hopping from country to country is simple and extremely affordable. Thanks to the emergence of the airline Value Alliance, you can find six low-cost carriers (including Cebu Pacific and Jeju Air which have the highest possible safety ratings) servicing over 160 destinations in 17 hubs across Australia, North Asia, Southeast Asia, in the Asian Pacific region (and a few countries as far as the Middle East and Europe!). I couldn’t even begin to count how many flights I’ve taken around Southeast Asia on these airlines. To make things as easy as possible, you can now find the best flights for the best rates using the Value Alliance online search tool. For example, a quick search for one-way flights from Bali to Kuala Lumpur in March came up with a list of options for under 95 USD; and from Bangkok to Singapore, you can snag a flight for about 40 USD one-way. I’ve honestly (sadly) spent more money on Uber rides just around Washington, D.C. This mega airline portal will also allow you to book affordable multi-destination itineraries and multi-airline itineraries. The search function on Value Alliance also allows you to view prices across different dates, so if you have some flexibility, it’s easy to head to your destination a day earlier or later to save some extra money. 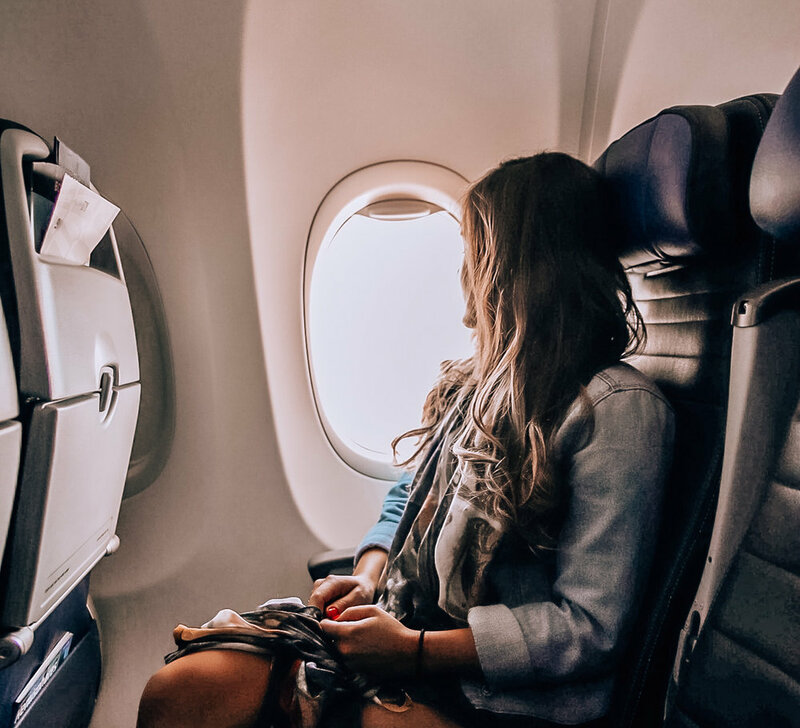 Most of these flights start with only the basics, meaning you pay for a spot on the airplane, and then can add additional benefits like checked luggage, a meal, or more leg room for an additional fee. Even if you do pay extra for luggage or food, you’re still going to be saving a ton in comparison to larger commercial airlines; or, instead, skip the meal and the checked luggage, and allocate all those saved dollars to a shopping trip or a fancy meal at your destination. It’s crazy to think about how you would spend your money if you spent less on flights! Although Uber recently left Asia, you can still find ride-sharing apps in most Southeast Asia destinations. Grab, which was recently purchased by Uber, is widely available in Singapore, Malaysia, Indonesia, the Philippines, Vietnam, Thailand, Myanmar, and Cambodia. Go-Jek is a similar app that’s based in Indonesia but is also available in Singapore, Thailand, and Vietnam. Rates for these ride-sharing apps vary between different locations, but it’s generally far cheaper than other forms of transportation, and easy for foreigners to use as you can enter your GPS locations rather than navigating a language barrier, and the app sets a flat rate in advance so you don’t have to haggle on prices. 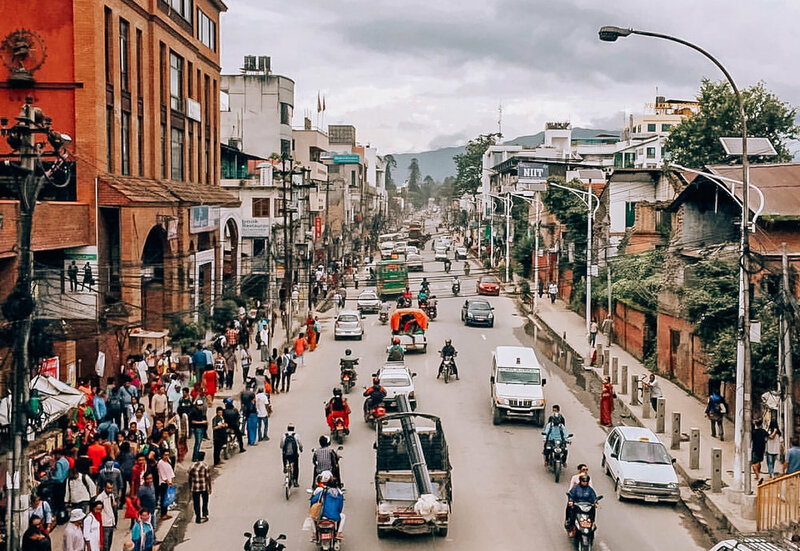 In some locations, you can even opt for a motorbike transport rather than a car, which will save you even more money and allow you to cut around chaotic Southeast Asia traffic. 20-minute rides in many locations where I’ve used Grab or Go-Jek are around 1-4 USD. In certain locations, Grab and Go-Jek also offer additional services like at-home (or hotel) massages, grocery shopping/delivery, laundry, etc. It’s just as simple to order these from your phone as it is to order a taxi, and you’ll likely find the best rates available for these kinds of services. Although your carrier might have an international plan available, consider ditching your at-home SIM card while traveling through Southeast Asia and picking up a local one. In most Southeast Asian countries, local SIM cards are widely available and a simple, low-cost solution for travelers. Instead of cellular plan, you put as much data as you want onto the SIM card, and refill it at any local shop that sells data (usually a convenience store, gas station, or even little food stalls). It can cost you as little as 5 USD per month, which is incredibly inexpensive compared to many U.S. carrier who will charge hundreds to use your phone overseas. Also, from personal experience, using international SIM cards in Asia is not always reliable. I’ve struggled to get decent service in areas where my friends with local SIM cards have had full bars. This is especially true is you plan to be visiting some more rural areas, like jungles, mountains, or small villages (all likely places to find yourself when touring Southeast Asia). If you want to be able to easily communicate with friends and family back home, you can text one another on WhatsApp which allows you to still use your normal phone number even when you’re using a SIM card from another country, or just pop in your International SIM card when you get back to your hotel each night — there’s a good chance most of your friends and family will be sleeping during the daytime in Southeast Asia, so this shouldn’t be an issue. One of the easiest ways to blow your budget in Southeast Asia? Pay the first price you’re told. As a rule of thumb, when receiving a price for taxis, souvenirs, and accommodations, you can generally start a counter-offer at 50%. Then, the seller will likely respond with another counter-offer somewhere in the middle, so both of you can feel like you’ve had some say in the final price. Feel free to go back and forth a bit, or to stand your ground if you know the price or value of an item/service should be lower. If you don’t like the price you’re offered, feel free to walk away (often a seller will agree to your price once you start to leave). Keep in mind the following tips when practicing your Southeast Asia negotiations: (1) your hotel likely won’t give you an accurate estimate of prices; (2) agree to taxi prices before the ride; (3) carry small bills; (4) browse the prices elsewhere to see what competitors are offerings; (5) run a quick Google search for forums and articles discussing the “fair” price; (6) be reasonable and kind when negotiating, and avoid getting angry or offended; and (7) use common sense about when to haggle: nicer cafes, restaurants, and boutiques won’t work out well for you, and it can be culturally insensitive to try to negotiate a price for temple visits, certain tourist sites, or in certain towns. If you can push through your initial discomfort, negotiating will become a lot easier and normalized. Plus, negotiating is generally a good life skill to have — think of it as practice for when you need to negotiate that raise at work. If you’ve ever tried to visit the temples of Cambodia or the beaches of Bali or Halong Bay in Vietnam during tourist season, you’ll know that it can be a scene of mad chaos. Hordes of tourists with selfie sticks and very little sense of personal space crown the most popular sites and destinations, often ruining the experience for you and causing a drain on resources in these cities and towns. But what’s most relevant for this post, is that traveling during peak tourist season is the most expensive time to travel. Accommodations, sites, and tours will have a surcharge, and negotiating is much less likely when there are 100 others in line behind you willing to pay a premium. Traveling during off-season, especially during the shoulder months (usually 1-2 months right before and right after tourist season) can ensure that you’ll get the best rates and have a much more relaxing, intimate experience while traveling in Southeast Asia. Although these off-seasons are usually referred to as “rainy seasons,” I’ve found that during shoulder months, rain is minimal (maybe just an hour or two in the morning) and often the landscapes are even prettier and more lush. There are tons of reasons to travel during off-season, but saving quite a bit of money on your trip is definitely a top motivator. Southeast Asia is one of the most budget-friendly destinations in the world, with cheap international flights, outstanding food for only a few dollars, luxury accommodations for the price of a hostel, and the ability to negotiate most things until you get a fair price. These tips will help ensure you get the most value for your money while traveling in Southeast Asia — even if your backpacking and hostel-staying days are well in the past. Have any other tips for saving money while traveling in Southeast Asia? Leave them in the comments below! This post is in partnership with Value Alliance. I promise I won't spam you!